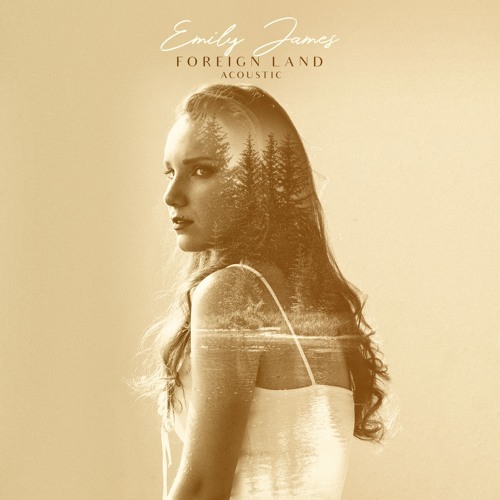 Los Angeles-based singer/songwriter Emily James has just unveiled a stunning acoustic version of her pop-driven single Foreign Land. I've got to say that when I heard the original I didn't connect much with the song but this version is a whole different story. It goes to show that a beautiful production makes all the difference! Stripping things back to an acoustic guitar-driven melody backing her beautiful vocals and delicate background harmonies, Emily completely got me hooked to this song. It's a raw and heartfelt rendition that showcases the tenderness and emotional vulnerability of her lyrics. I am in love with this acoustic version and her vocals are simply stunning making you feel each word she sings. She hit a home run with this one. Watch her performing this gem below! While the original version portrays confident lyrics and a modern beat, I wanted to show the tenderness and emotional vulnerability 'Foreign Land - Acoustic' depicts with a very bare and organic production.